Many homeowners pride themselves in their do-it-yourself capabilities, but when an electrical issue arises, most will call in an electrician. A new report from Klein Tools suggests it may soon be a little harder to find one of these home service professionals. Its State of the Industry survey gathered input from both union and non-union electricians and found growing concern about a skills gap. 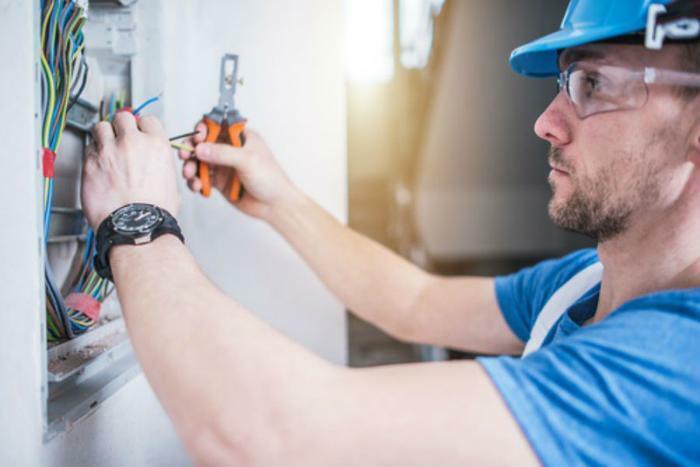 At the same time, it found more experienced electricians are leaving the industry to pursue other professions, citing the physical demands of the job. As a result, the report's authors say the experience level is on the decline. Electricians with 10 to 19 years of experience are hanging up their tool belts in increasing numbers. Forty percent of the electricians in the survey worried that there may not be enough qualified workers in the industry over the next five to 10 years. Klein says there also needs to be more technical and vocational academic training to increase the ranks of both electricians and other building trades. The decline in the number of electricians might well provide employment opportunities for young people without a college degree. According to Salary.com, a third class electrican earns an average of nearly $59,000 a year, with salaries ranging from $52,000 to $66,000. To learn the trade, join an apprenticeship program through the International Brotherhood of Electrical Workers (IBEW), National Electrical Contractors Association (NECA) or Independent Electrical Contractors (IEC). Candidates typically go through both classroom courses and on-the-job training, spending a total of about four years learning the ins and outs of the trade. During that time candidates can usually get jobs as electricians' helpers as part of the learning process. The final step is to earn a license by taking a usually location-specific exam, to make sure the candidate is familiar with local building codes.